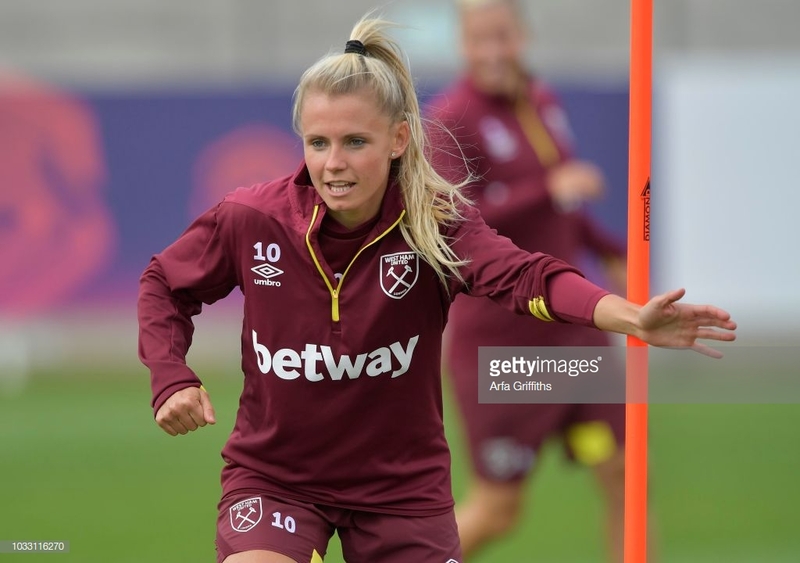 Nursing a knock picked up ahead of the start of the second half of the season, we caught up with West Ham’s German import, Julia Simic. Granted a licence to the top tier with the summer reshuffle and restructure, newly appointed coach, Matt Beard had a dream (or nightmare) job on his hands of putting together an entirely new squad for the new season. Calling upon his vast experience in the game, Beard bolstered his side with imports from across the channel, stretching into the European leagues, plucking one of his new charges from SC Freiburg. Well known to audiences around Germany, 29-year-old Simic had spent the entirety of her career in the Frauen-Bundesliga before making the move to West Ham in the WSL. Despite being a long way from home, the midfielder seamlessly integrated into the brand spanking new side. Having only spent a season in the Black Forest after moving down from VfL Wolfsburg, Simic failed to show the depth of her qualities last season, the midfielder never really looking at home on the pitch. A rather different story from her first months at West Ham, Simic fast carved out a niche for herself in the squad, showing her experience on the pitch to galvanise and lead from the middle of the park. New to the English language as well as the football, Simic and her non-English speaking teammates have been fast to learn the language and the German is at ease with chatting in her new tongue – although it hasn’t always been smooth sailing. “It’s hard sometimes and when you’re on the pitch and the words don’t come out automatically; you have to think about it, then translate it in your head and bring it out in a different language. But it’s getting better from week to week, firstly from day to day but now I think I’m on a level where it’s getting better and becoming more natural. With friendships relaxed within the squad, Simic notes that she has naturally gravitated towards young Swiss attacker, Alisha Lehmann, the two able to converse in German. In one of her first interviews [in German] after signing her contract, the 29-year-old admitted England hadn’t been her first choice, the diminutive midfielder craving warm weather had her eyes set elsewhere on the continent. 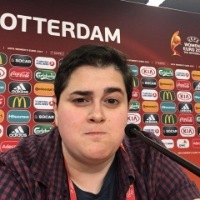 However, given an offer she couldn’t refuse, drawn in by the level of the league as well as the intriguing project with the Irons, Simic is happy to report she has no regrets. Having progressed through the German youth ranks, Simic was on course to realise her dream in 2011 when she was called into the senior side as Die Nationalelf got their Euro 2013 qualification underway. Unfortunately for the Fürth-native, an ACL injury in the first training saw her miss out the majority of the season, the midfielder not making her senior bow until 2016. Though only managing two substitute appearances, first against Austria then the Netherlands (both 4-2 wins), Simic is honest about her chances of earning another cap, the change of manager not enough to get her hopes up. As for goals for the year?